Small RNA RNA-seq for microRNAs (miRNAs) is a rapidly developing field where opportunities still exist to create better bioinformatics tools to process these large datasets and generate new, useful analyses. Researchers at Johns Hopkins University School of Medicine have built miRge to be a fast, smart small RNA-seq solution to process samples in a highly multiplexed fashion. 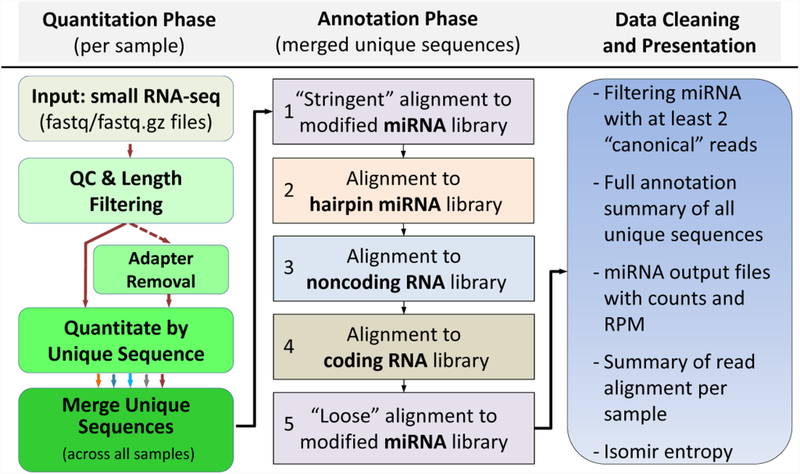 miRge employs a Bayesian alignment approach, whereby reads are sequentially aligned against customized mature miRNA, hairpin miRNA, noncoding RNA and mRNA sequence libraries. miRNAs are summarized at the level of raw reads in addition to reads per million (RPM). Reads for all other RNA species (tRNA, rRNA, snoRNA, mRNA) are provided, which is useful for identifying potential contaminants and optimizing small RNA purification strategies. 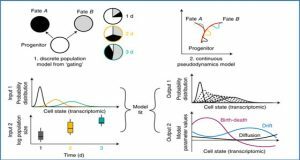 miRge was designed to optimally identify miRNA isomiRs and employs an entropy based statistical measurement to identify differential production of isomiRs. 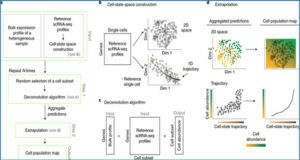 This allowed its developers to identify decreasing entropy in isomiRs as stem cells mature into retinal pigment epithelial cells. 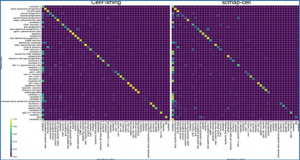 Conversely, they show that pancreatic tumor miRNAs have similar entropy to matched normal pancreatic tissues. 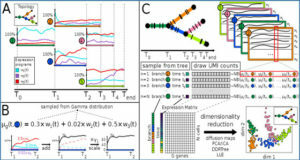 miRge: multi-sample quantization of unique sequences followed by a single sequential annotation method for miRNA-seq analysis. First, sequencing data undergoes a quality control and length filtering step. Sequences are trimmed of adaptors (optional) and unique sequences are quantitated per sample. The unique sequences identified across all samples examined then undergo 5 separate alignment steps against 4 libraries using Bowtie. Only reads > 25 bp are aligned to the hairpin miRNAs. The resulting data is organized and miRge outputs several files including a final miRNA oriented data table in both absolute counts and RPM. In a head-to-head comparison with other miRNA analysis tools (miRExpress 2.0, sRNAbench, omiRAs, miRDeep2, Chimira, UEA small RNA Workbench), miRge was faster (4 to 32-fold) and was among the top-two methods in maximally aligning miRNAs reads per sample. Moreover, miRge has no inherent limits to its multiplexing. 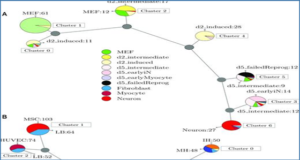 miRge was capable of simultaneously analyzing 100 small RNA-Seq samples in 52 minutes, providing an integrated analysis of miRNA expression across all samples. As miRge was designed for analysis of single as well as multiple samples, miRge is an ideal tool for high and low-throughput users.